Vinyl: November 8th 2013 Digital: November 15th 2013 There we go again. Finally, Cuthead returns with the long awaited follow-up to his “Brother EP”. His new record “Everlasting Sunday” surely fulfils some dreams as it is packed with no less than nine tracks. Three catchy House tunes on the A-Side and six Hip-Hop-jams on the B-side make for a very extended EP or a mini-album ... the choice is up to you! Right at the beginning we start with the sample-heavy “Maputo Jam”, a tune in classical Cuthead-manner with its irresistible drumming full of stumbling blocks and layers of sweet synth-melodies. “Nautic Walking” is a straighter House track with a guitar line and clapping samples but that bass line quickly reminds you whom you’re listening to. “Minerals” starts off pretty deeply before evolving from a jazzy House affair into an almost orchestral tune with opulent strings. The flipside is an extensive expression of Cuthead’s inexhaustible love for Hip-Hop. 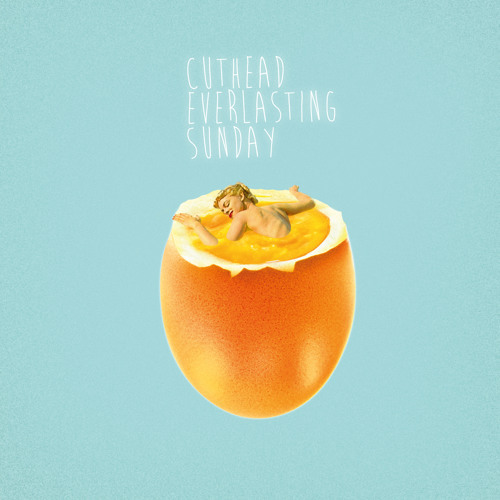 There is feel-good material like “Everlasting Sunday” and “Deep Shadows” as well as banging joints like “Calculator Watch” with all the typical Cuthead-trademarks: sick bass work, stammering drumming and imaginative sampling.